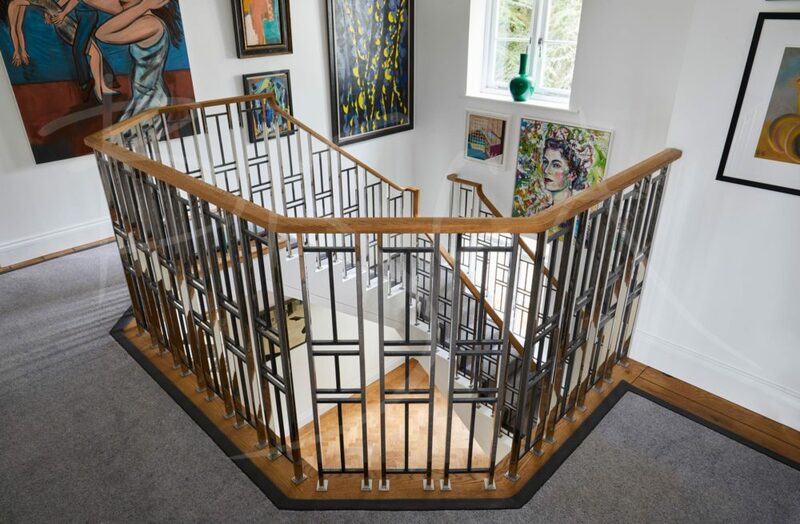 This Art Deco inspired balustrade design reflects original Art Deco features within the property. The balustrade is of polished stainless steel, with contrasting blackened infill panels. The design encompasses the striking geometric shapes found in the front door for instance. A period fire surround belonging to the clients has lovely stainless steel bezels. As a result, we used similar bezels to finish the uprights where they meet stair and landing edges. 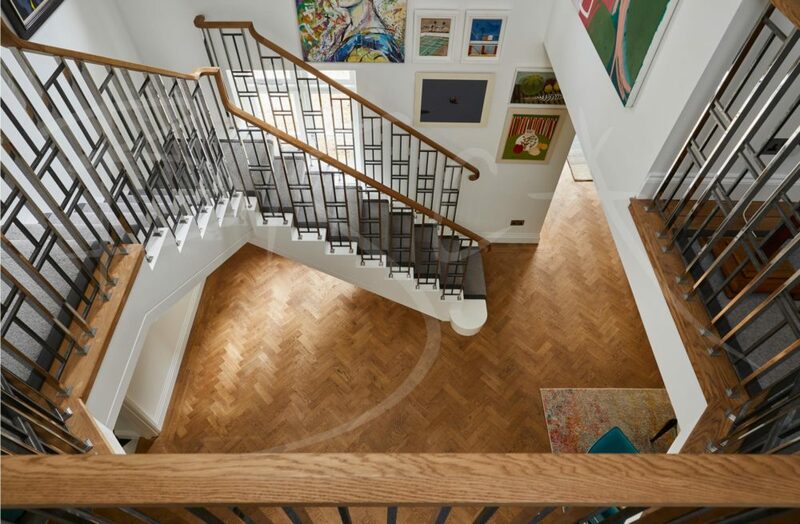 An oak handrail, finished to match parquet flooring, flows around the first-floor landing edge and down the staircase with traditional Art Deco swan neck transitions. 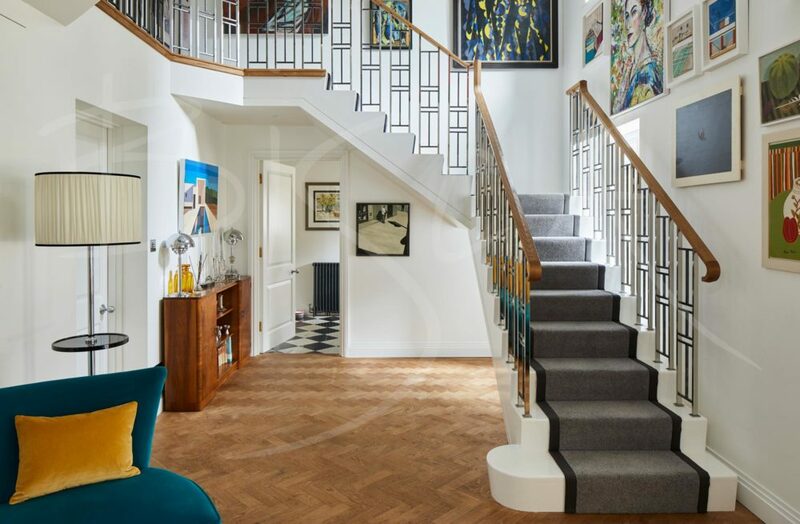 The handrail finishes with a simple pair of scrolls above the first tread. Regardless of period, good quality and craftsmanship never goes out of fashion. 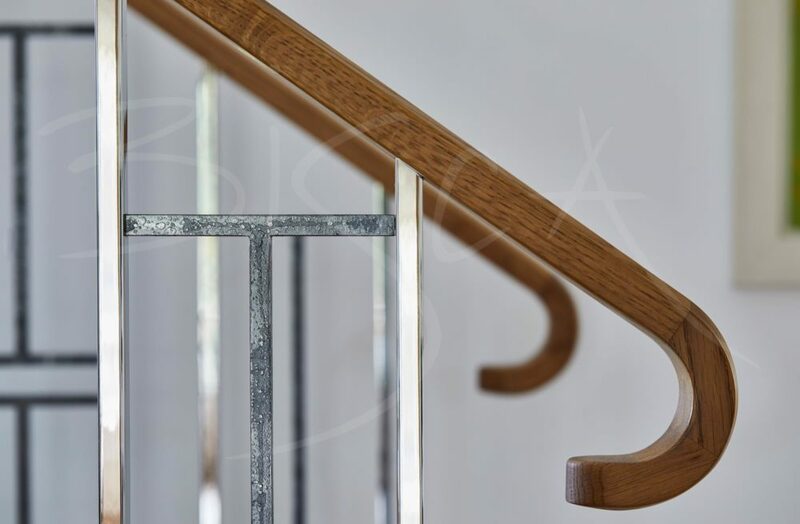 For more information about a deco inspired balustrade please quote 6942.